At the ATS 2017 International Conference in Washington, D.C., Andrew Colin, MD, was recognized with the Society’s first Lifetime Contributions to Pediatric Respiratory Medicine Award. This colorful life of contributions includes influences from Romania, Italy, Israel, and the U.S.–when Dr. Colin began his work with Mary Ellen Wohl, MD, and Jere Mead, MD, a pair of Harvard leaders in pediatric pulmonology. The two guided him through original research projects related to developmental respiratory physiology of infants. Today, Dr. Colin considers himself more of a pulmonology generalist, having authored papers on a broad spectrum of respiratory topics. Significant focus is on cystic fibrosis, including his participation in studies of the first CF drug, DNase, and the Epidemiology Study of Cystic Fibrosis (ESCF), that emanated from the DNase studies and became the precursor of today’s stellar registry for the disease. Dr. Colin has mentored nearly 60 fellows, who have constantly kept him on his toes. Whether his personal fellows, or trainees through other fellowship programs, he remains in touch with many early career, now mid to senior-level professionals. Dr. Colin later applied his expertise in breathing mechanics to explain how early deficiencies affect morbidity in late preemies, and to emphasize how such deficiencies may predict a decrease in pulmonary reserve at older age. These publications from the 90s on respiratory deficiencies in infants born to mothers with HIV have helped inform his more recent work. His career is global, involving close collaborations in Central and South America, though he has also helped to spearhead training in Asia. In addition, he co-leads the International Congress of Pediatric Pulmonology, a small gathering that complements efforts of the ATS. This group’s focus is developing medical communities in limited resource countries. Dr. Colin is pleased that interest in pediatric pulmonology is growing throughout the larger respiratory community, which he suspects is tied to the recognition that much of adult respiratory morbidity has its roots in childhood lung health. 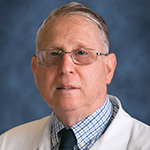 At his home institution, the University of Miami, where he is the Batchelor Family Chair of Cystic Fibrosis and Pediatric Pulmonology and director of the Division of Pediatric Pulmonology at the Miller School of Medicine, he developed and directs an accredited Cystic Fibrosis Center with strong collaborations in research related to drug development for this disease, under the aegis of a national research network (the CFF’s TDN). The center is the home to one of two pediatric pulmonology training programs in the state and hosts regular talks, grand rounds, community based teaching sessions, as well as an annual international CF symposium focusing on cutting edge innovations in the field with the larger pediatric pulmonary community. When Dr. Colin is not at the patient bedside or the lectern, he is at the opera house. An aficionado of the art form, he remains partial to Verdi, perhaps because of his undergraduate studies in Italy. Dr. Colin also enjoys traveling and seeing new cultures, which afford him new perspectives on life and work.